The number-one cause of the aging process is Cell Oxidization (electrons being stolen from our cells and DNA) by Free Radicals (any atom or molecule that is lacking a full chain of electrons).  The electron deficient oxygen atom is the number one free radical and cause of cell oxidization (this is why oxidization got its name from oxygen, it is the number one cause). We come into contact with these electron deficient oxygen atoms through the polluted air we breathe and water we drink. H2O is one part oxygen. General tap water for example is heavily electron deficient and oxidizing not to mention being polluted with chlorine and other pollutants. By filtering and ionizing your drinking water with one of our premium Fountain of Youth Water Ionizers you are literally transforming your drinking water from being a polluted heavy oxidizer and cause of increased aging, to having an abundant excess of antioxidant electrons, therefore becoming a fountain of youth!  This is an example of an oxidizing oxygen atom that is deficient by one electron with only seven. 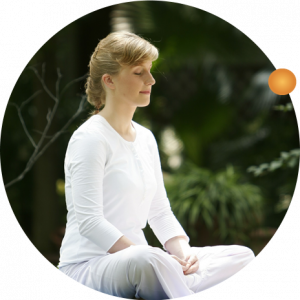 Oxygen, always wanting to be neutral at eight electrons, will steal the electrons it needs from your cells and DNA, thereby increasing cell death and speeding up the aging process.  This is an example of a neutral oxygen atom with a full chain of all eight electrons.  This is an example of an antioxidant oxygen atom that has one extra electron, holding nine in total. Again, oxygen always wanting to be neutral will freely donate the extra electron it is holding to you cells or DNA thereby neutralizing free radicals in your body. This antioxidant process prolongs cell life thereby slowing down the aging process and increasing your lifespan. Antioxidants prevent oxidization by neutralizing free radicals in the body. This is accomplished by the antioxidants donating their extra electron to the electron deficient free radicals, thereby neutralizing them. Once the free radical has gained its full chain of electrons it is no longer a free radical. It can now freely pass through the body to perform its natural process without causing any damage. The life and death process of cells is continuous 24-hours a day. Once you peel a banana or apple and lay it out on the counter, oxygen deficient in electrons starts to steal electrons from the cells of the banana or apple and it begins to turn brown. In the case of rotting fruit, the cells die. The same process is going on in your body 24/7. This is the main cause of the aging process. Cell death caused by oxidization. Electrons being stolen from your cells and DNA. This is why it is so important to ingest antioxidants. They are literally the fountain of youth. That is why it is so valuable to the health and preservation of one’s body and youth to be constantly neutralizing free radical damage and cell oxidization in your body with antioxidants. Water, after being ionized by our Fountain of Youth Water Ionizers, literally has many trillions of extra antioxidant electrons to donate to your body. This makes your new water Ionizer, the Fountain of Youth!